April 2015 – The wedding season got firmly up to speed for 2015 with the lovely wedding of Keely and Dan at Rogerthorpe Manor, close to Pontefract and Wakefield. The spring sun shone on the wedding party as they all had a great day and partied well into the night. I’d like to thank Keely, Dan and their families and friends for making me feel welcome and allowing me to create a wedding video their big day. 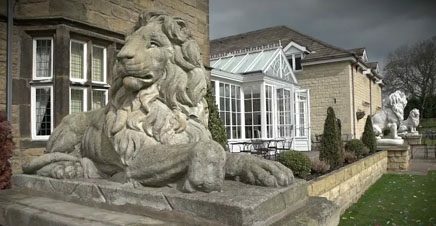 A Wedding film from Rogerthorpe Manor in Pontefract from Yorkshire Wedding Videos on Vimeo. As a solo wedding videographer, I can ensure your wedding day is filmed with the minimum of fuss or intrusion, yet using the latest professional video and audio equipment. I hope you like this trailer from Rogerthorpe Manor near Pontefract, West Yorkshire.